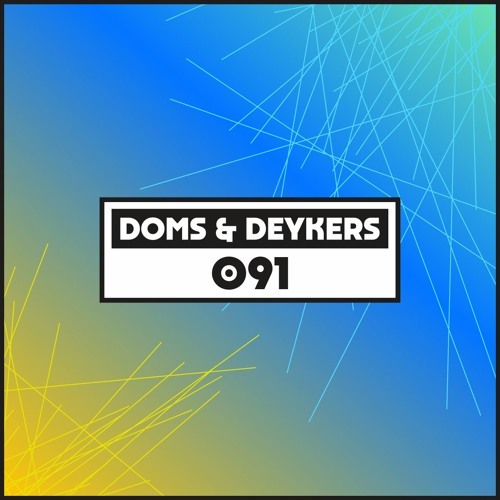 Doms & Deykers is the work of two dance music powerhouses. Better known as Steffi and Martyn, between them this Dutch pair have helped shaped the underground with not only their high class DJ sets (they are both Panormaa Bar Residents), but also their always fascinating EPs and LPs on labels like Ninja Tune and Ostgut Ton. Of course, Martyn also runs 3024 and Steffi runs Dolly and off shoot Dolly Dubs, where she has put out two of his more recent EPs. On October 24th they come together again to release their latest collaborative work; an album entitled "Evidence From A Good Source". Fusing all their influences it is a timeless melodic journey into house, techno and broken beats that will bring real class to the dance floor. Ahead of the album and the live shows that will follow comes an equally exciting new podcast for our series. At nearly two hours it really finds the pair dig deep and start slow. Blissed out hip hop and spacey electronics all build towards a breezy groove that takes in house and acid old and new. At times pure house party vibes and at others much more suited to a dark backroom or vast warehouse, it is a perfect coming together of two of the best. @3024world: spilleth the beans ! @butterpuc: sick times by board of canada! Thats some rare beauty! when what who knows..
@true2street: GO DIG SOME PLASTIC ! !